In the last week the Red Cross provided emergency relief in the form of shelter, food, clothing, health services and/or emotional support to 106 New Yorkers impacted by 37 disasters across our region. Here are some highlights. 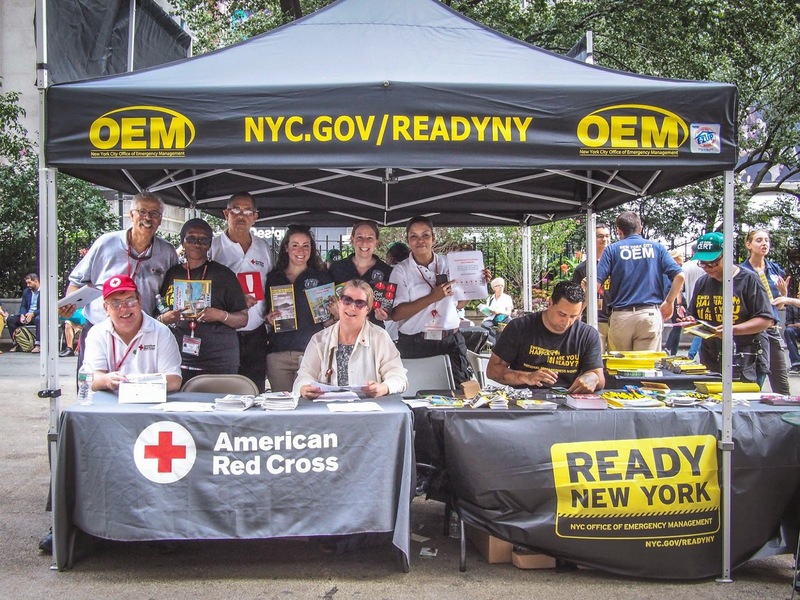 On Sept. 5, Josh Lockwood, Greater NY regional CEO, and numerous Red Cross volunteers helped kick off national Preparedness Month (#NPM2014) with our emergency partners OEM and FEMA in front of Macy’s in Herald Square. Our volunteers spoke with passersby about how to prepare before a disaster. 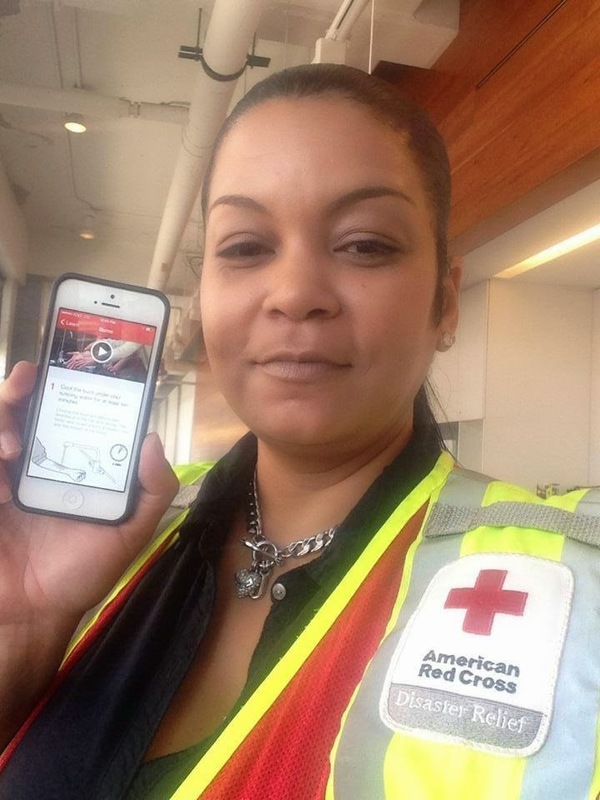 #SelfieSaturday with volunteer Maria Millan (above) showing off her #RedCross First Aid app. She's prepared! Are you? It's National Preparedness Month (#NPM2014). Learn more about downloading your free Red Cross preparedness apps at www.redcross.org/prepare/mobile-apps. Villanova University student Caroline Hroncich laughed when her parents insisted she keep things like a flashlight in her dorm room. But after the school lost power during Sandy, she understood the importance of being prepared. Read her personal story. If you’re a student heading off to college—perhaps for the first time — you may be inexperienced at driving long distances or driving alone. Red Cross has tips for you! A shout-out to students from Manhattan's Stuyvesant High School who live in Queens and held a benefit concert for the Red Cross. On Sept. 3, they presented a check for $5,000 to the Greater New York Red Cross to support disaster response operations. Our GNY Red Cross Facebook page reached 30,000 Likes! We couldn't have done it without your support! It might be difficult to tell if your co-workers are dead or bored, but everyone in the workplace should know CPR. September is National Preparedness Month. As everyone heads back to work after summer vacations, it’s a great time to register for a Red Cross lifesaving class at www.redcross.org/take-a-class.